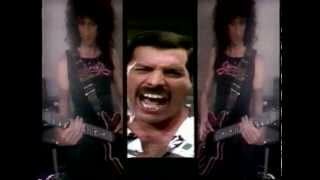 "This is the second part of the" Best of "Queen 1989"
1989 Queen will be crowned as the best band of the 80s! A raw interlaced PAL transfer from my betamax recording using a Sony SL-HF950 in edit mode. TV report from the UK at The Royal Albert Hall on November 22nd. Am I hearing things at the end of this clip? 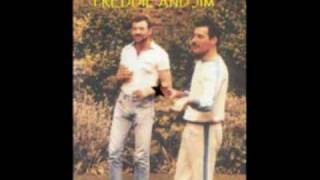 This is a unknown piano song ...The track originates from a tape that Jim Hutton(Freddie's last lover) recorded...it was recorded somewhere around 1985/1986. The unique Band Queen at the 1989 Awards. 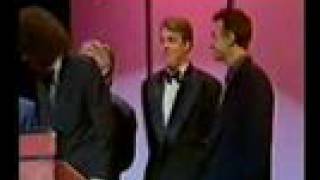 They won as the best band of the 80s, an obviously deserved prize... Please note: I do not own any right on this material. All copyrights are of whoever has them. 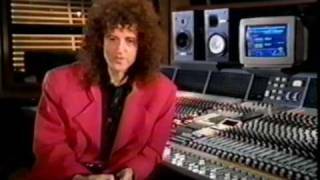 Queen - Making of Innuendo album. Part 1. 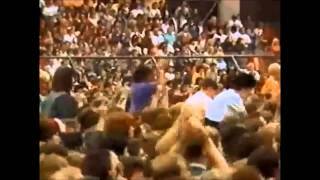 QUEEN - Live Aid - Rehearsal - RARE ! 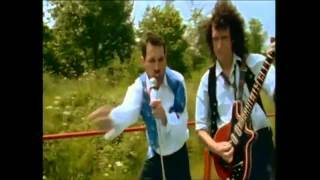 A tribute to Freddie Mercury and his way to use his...microphone It's been hard to pick clips - among thousands - but I had to choose the most special ones - 'cause he naturally used it all the time. So here you are. 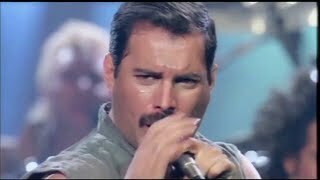 There haven't been anyone until now who could remotely do what he and Queen did at the stage. You did it well! 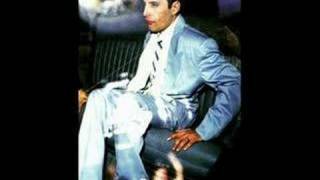 I apologize for the poor quality - but when you rip something that have been ripped...and ripped...and ripped ;) I don't own any of these clips - I just composed them together - including the music. I therefore have no rights over them. Combining theatrics and an outrageously flamboyant stage persona with his fine natural-born talent (he possessed one of the greatest voices in all of music and penned some of pop's most enduring and instantly recognizable compositions), one of rock's greatest all-time entertainers/showmen was unquestionably Queen vocalist Freddie Mercury. 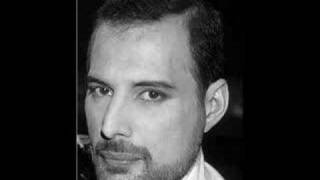 Born Farrokh Bulsara on September 5, 1946, in Zanzibar to Persian parents (his father worked as a high court cashier for the British government), young Farrokh was nicknamed Freddie by fellow classmates while attending an English boarding school, and adopted the moniker. 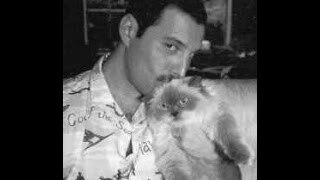 Freddie soon discovered his love for art and music, both subjects that he explored voraciously (he began taking piano lessons around this time), putting his newly found piano talent to use as he played in rock & roll bands with friends. 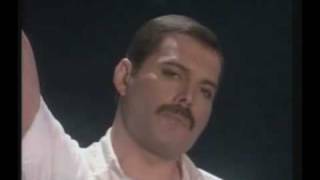 Due to political upheaval in Zanzibar, Freddie and his family fled Zanzibar for England in 1964. 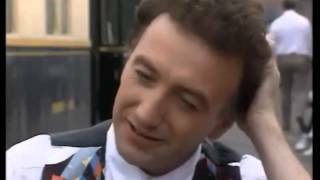 Back in England, Freddie enrolled in the Ealing College of Art and fell under the spell of guitar wizard Jimi Hendrix. 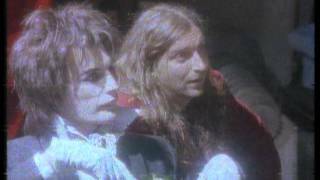 It was while attending Ealing that Freddie befriended a fellow aspiring musician, bassist Tim Staffell, who was a member of a local band called Smile. Freddie soon began attending Smile's rehearsals and struck up a friendship with the group's other members, guitarist Brian May and drummer Roger Taylor. Inspired by the heavy rock of Led Zeppelin/Hendrix as well as the vocal harmonies of the Beatles and the over the top look of the burgeoning glam rock movement (David Bowie and T. Rex), the new group decided to mix up all these influences in one big melting pot, resulting in the formation of Queen. 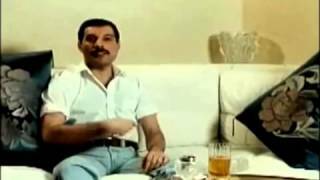 Sensing that it was only natural that a soon-to-be rock star should have an equally grand name, Bulsara soon became Freddie Mercury. The new band honed their sound throughout the early '70s (ultimately signing with EMI in England and Elektra in the U.S.), and after going through a succession of bassists, finally found a permanent member, John Deacon, just prior to the recording of their first album. 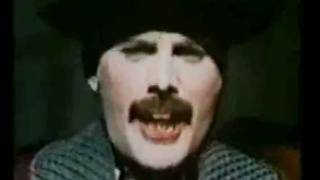 But just before the release of Queen's self-titled debut in 1973, Freddie issued the solo single "I Can Hear Music"/"Going Back" (with his Queen bandmates backing him) under the pseudonym Larry Lurex. Queen II Slowly but surely, Queen built up an enormous and dedicated worldwide following due to their bombastic stage show and such hit releases as 1974's Queen II and Sheer Heart Attack, but it was the Mercury-penned "Bohemian Rhapsody" off 1975's breakthrough A Night at the Opera that solidified Queen as one of rock's top bands. 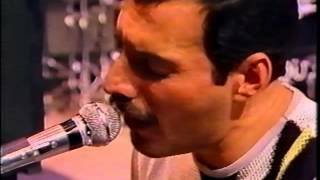 Further hit albums followed: 1976's A Day at the Races, 1977's News of the World, 1978's Jazz, and 1979's Live Killers, during which Freddie penned such hit songs (and eventual rock radio staples) as "Killer Queen," "Somebody to Love," "We Are the Champions," "Don't Stop Me Now," and "Crazy Little Thing Called Love." 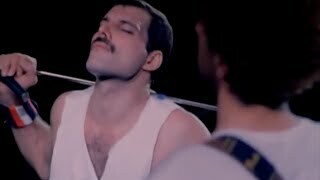 By the late '70s, Freddie had become one of rock's leading frontmen as his image changed from his early glam rock look to an image that was met with some consternation from fans: he cut his hair short, grew a mustache, and dressed in all leather. In addition to his work with Queen, Mercury fulfilled a longtime dream by performing with the Royal Ballet in October of 1979. Shortly thereafter, Queen regained their footing in the U.S. when Hollywood Records reissued their entire catalog and "Bohemian Rhapsody" (and two compilations: Classic Queen and Greatest Hits) rocketed up the charts due to the song's inclusion in the movie Wayne's World. Up until his death, Mercury continued to write music with Queen, and surviving bandmembers completed several unfinished tracks for the 1995 posthumous release Made in Heaven. 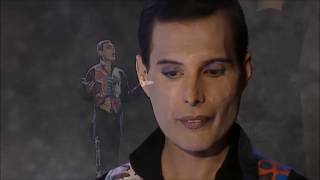 The '90s also saw the arrival of a few Mercury solo compilations: in 1992 the U.K. received The Freddie Mercury Album while the U.S. got The Great Pretender (both included mostly similar track listings) and a year later the six-track Remixes was issued in Europe only. Solo [3 CD] In 2000, a mammoth ten-CD/two-DVD box set was unveiled, titled The Solo Collection, collecting all of his solo tracks and promotional videos as well as rarities. 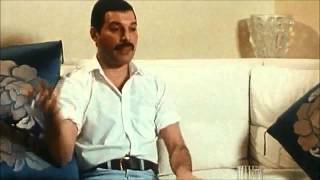 Also released at the same time was the three-CD box set Freddie Mercury Solo and the DVD Video Collection, which included highlights from the bigger set. 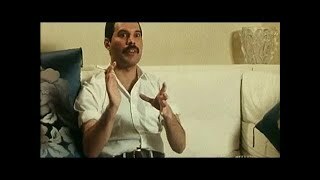 The more economical single-disc collection Very Best of Freddie Mercury Solo: Lover of Life, Singer of Songs appeared in 2006. In 2016, the double-disc collection Messenger of the Gods: The Singles brought together all of Mercury's solo A- and B-side singles.